The Sci-Fyi event took place at University of Birmingham on 14 November, to raise learners’ awareness of the wide range of science subjects available in higher education, and inspire them to study at university. 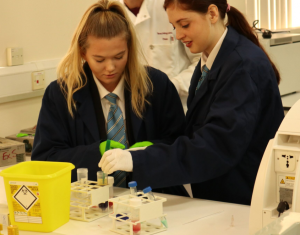 85 Year 10 learners from four different schools each attended three different science based workshops in subjects ranging from ‘Isolating DNA from Strawberries’ to ‘Biopolymers to Prevent Cancer’. Over three quarters of the students said they would recommend the event to others and 90% of sessions were rated as very good or good.